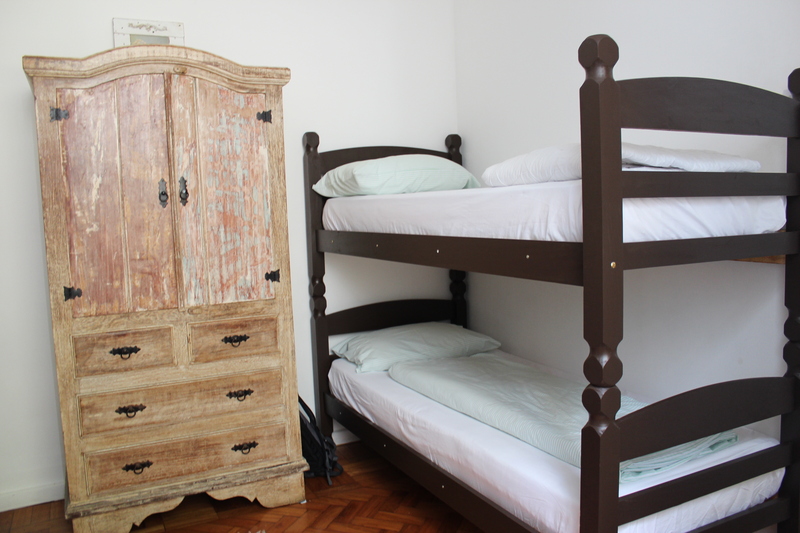 My friend Fred Caballero set up StartupStay (now Bizpora) – it’s a kind of couch surfing for entrepreneurs. 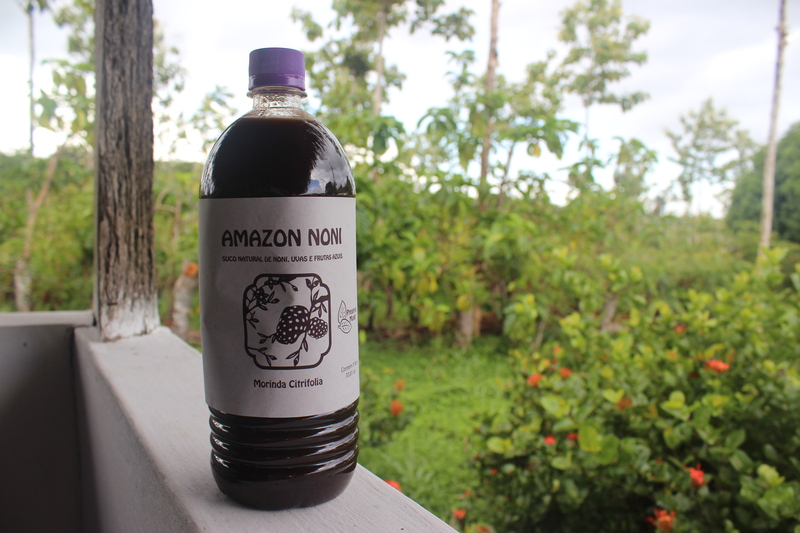 I tested it out on my trip to Brazil, and i was pretty surprised to find entrepreneurs in most of the places I planned to visit, many of them social entrepreneurs. Although I didn’t find anyone to actually stay with through the website, I did find some interesting people to meet. 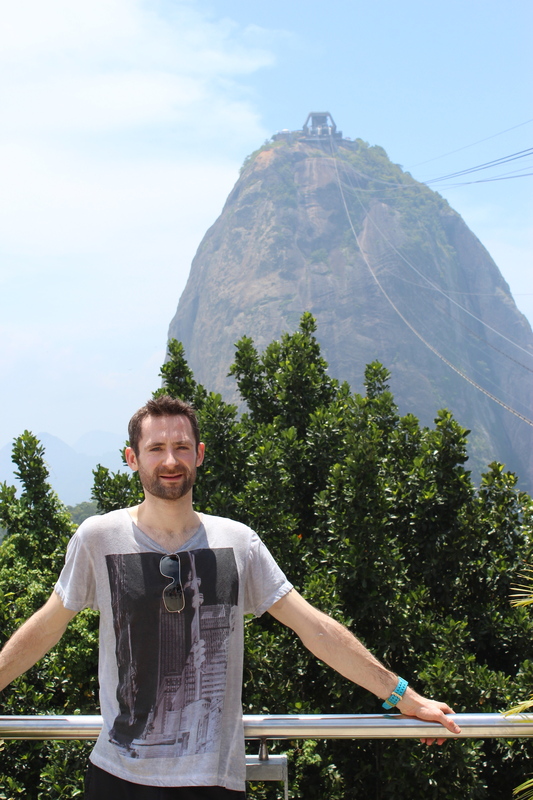 Ilya Brotsky, a canadian living the start-up life in Rio, was one of the first people I contacted. 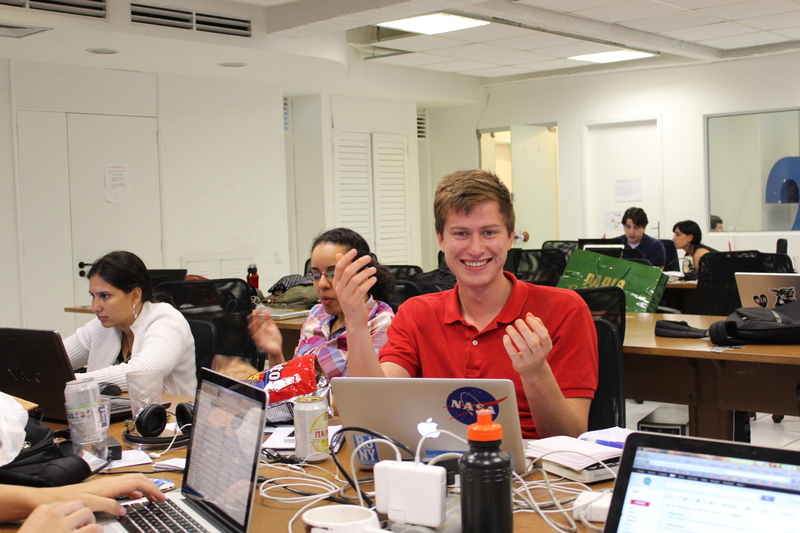 He invited me round to his co-working space / start-up incubator, called 21212. I wasn’t really surprised to find him and his team still working when I got there at 7pm. 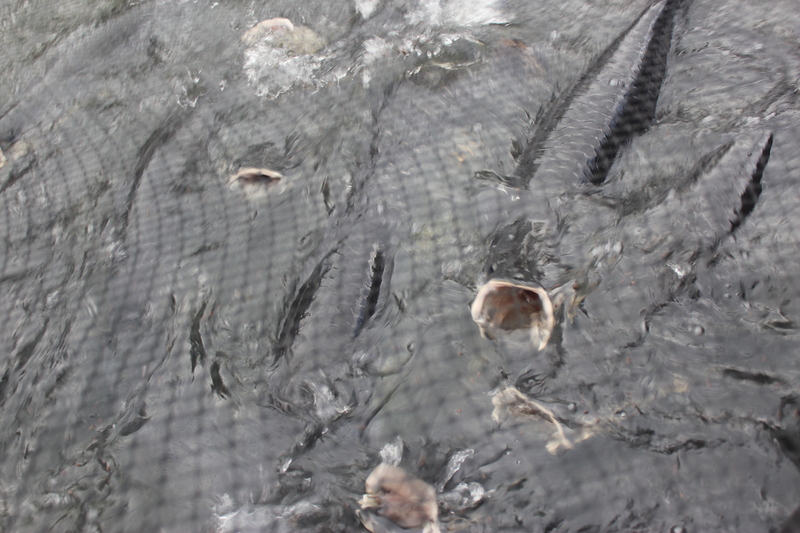 They’ve recently received investment, had some big coverage, and the new website was about to go live. As usual,last minute changes were quickly being put in place. 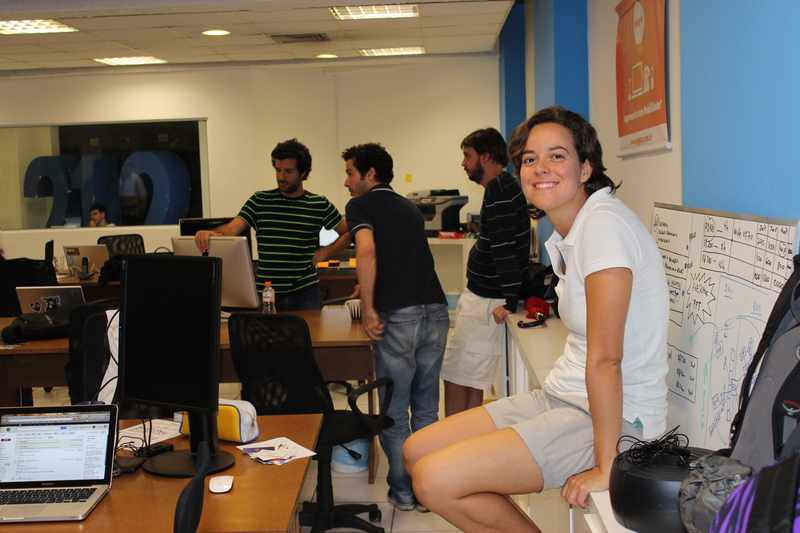 I had a chance to meet some of the team, as well as some of the others in the Start-Up community. 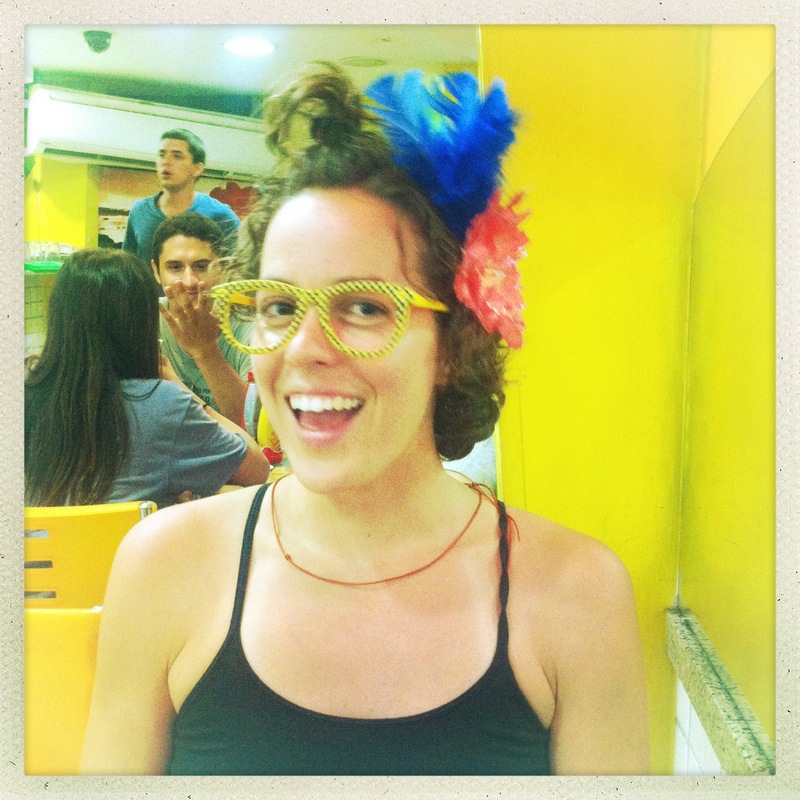 Special mention definitely goes to Olivia, the ex-New York Brazilian startup specialist and ball of energy. We bonded over a book of innovation. That evening, during dinner and waiting for a bus, Ilya and I discussed the struggles of startup life, and how lucky we are for being able to spend our time doing something we feel passionately about. There is no certainty in our future, but at least for the moment, we are in control of our direction, and we like where it is heading. We all met up again the next night, for a Samba Class organised by Ilya, at the appropriately named Gringo Cafe. 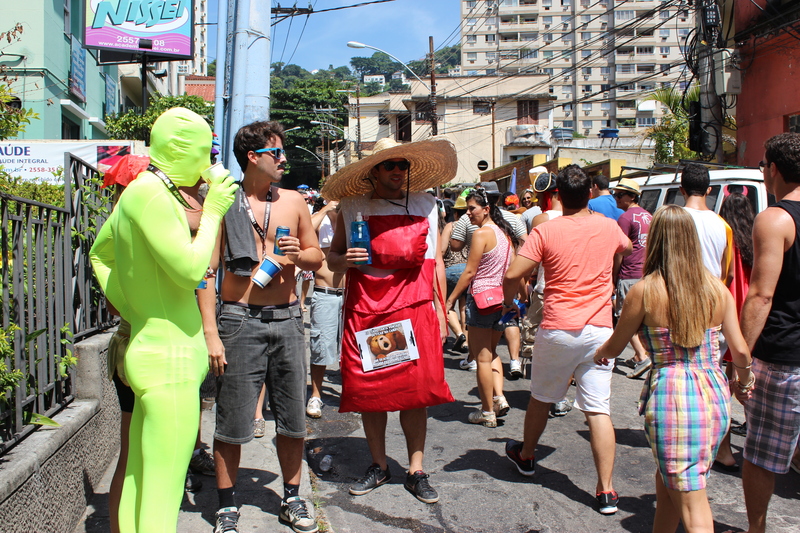 After Samba, we were ready for Carnival. 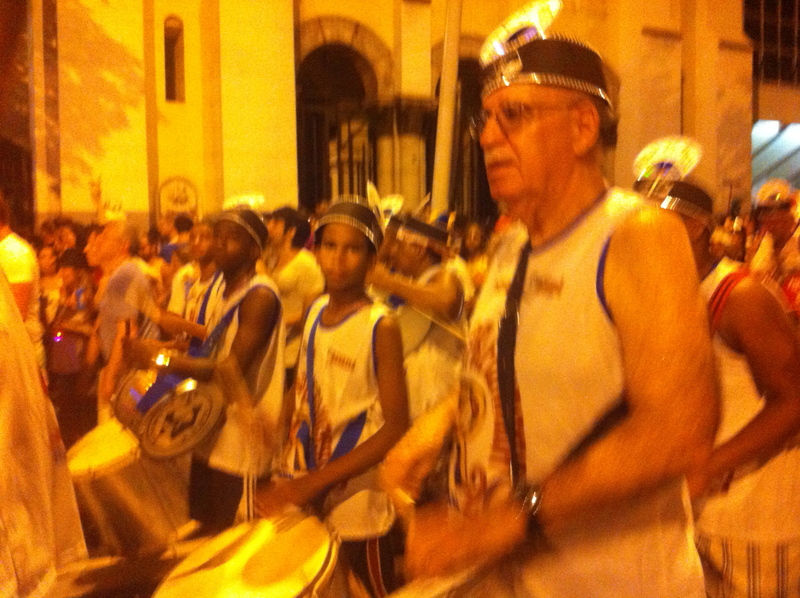 We followed the music playing trucks, and got ourselves surrounded by drummers. 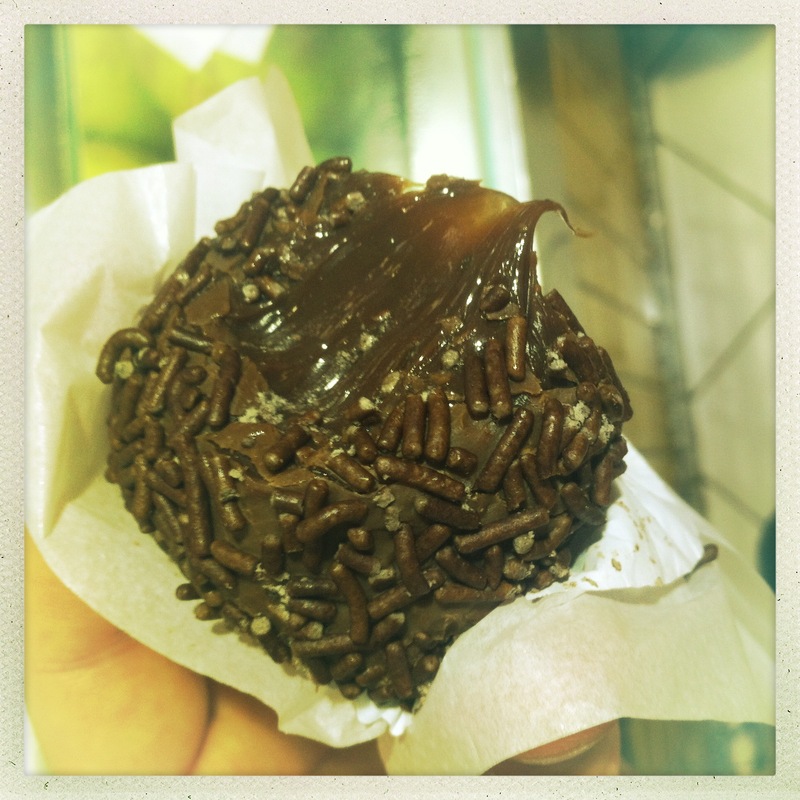 Olivia introduced me to the sweet delicacies of Brazil, and after a little more dancing, we headed to Ipanema beach, where we couldn’t help noticing all the drunk Carnival couples making out. 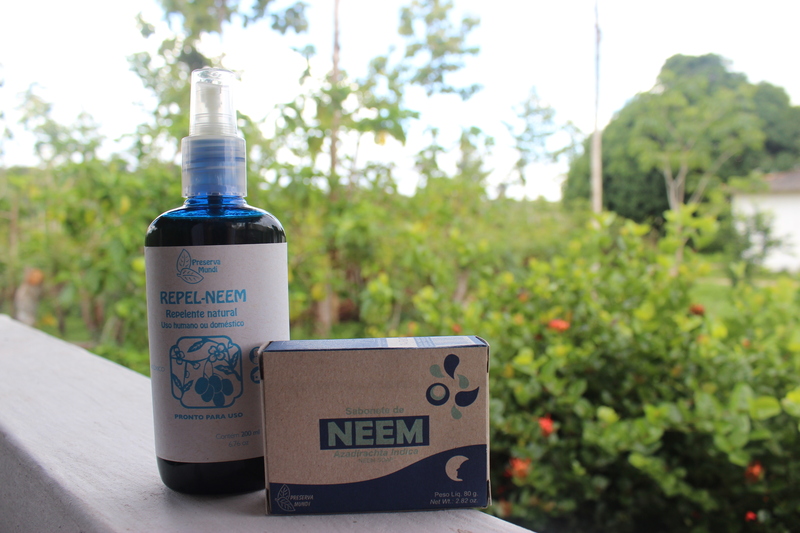 My StartupStay meeting for the next day was a completely different experience. 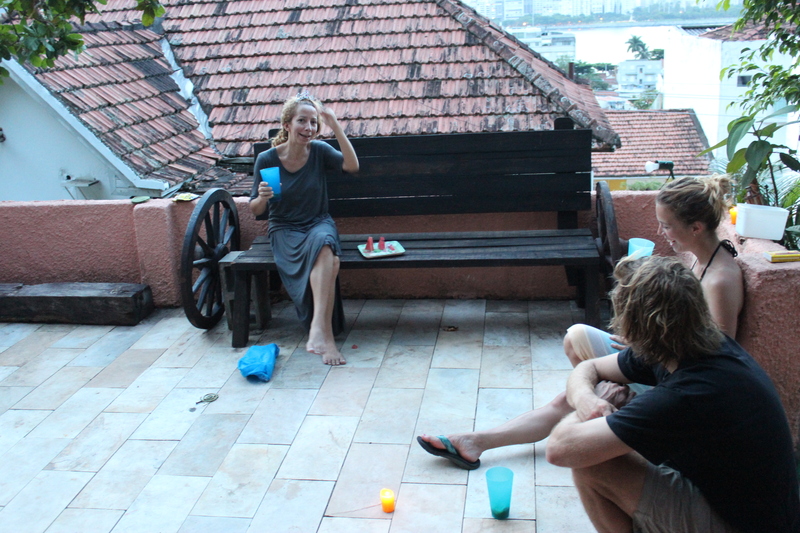 Severino had sent me a message through StartupStay, saying he’d like to meet me in Rio, and he was interested in business for social benefit. I knew it was going to be an interesting meeting, when I got the sense that he was using google translate to send me the email. Years of teaching English in Japan have taught me the signs of a computer translator, versus not so great English. Although it seems that either google translate is getting better, or it’s just better for Portuguese to English, rather than Japanese to English. 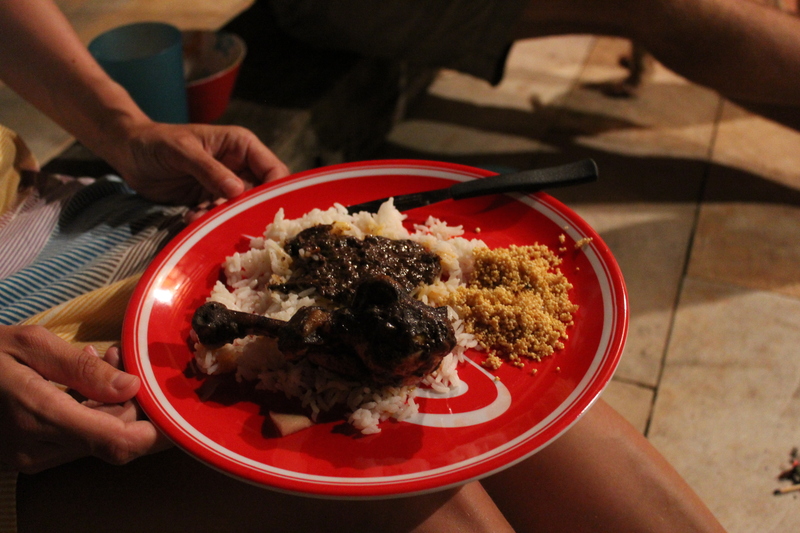 And so, it was the case – Severino could speak no English, and I no Portuguese. At his small, rentable “virtual” office, we tried valiantly to communicate in single words of each others language. After 10 minutes of good hearted struggle, we turned on the computer, loaded Google Translate, and got down to business – it worked surprisingly well. 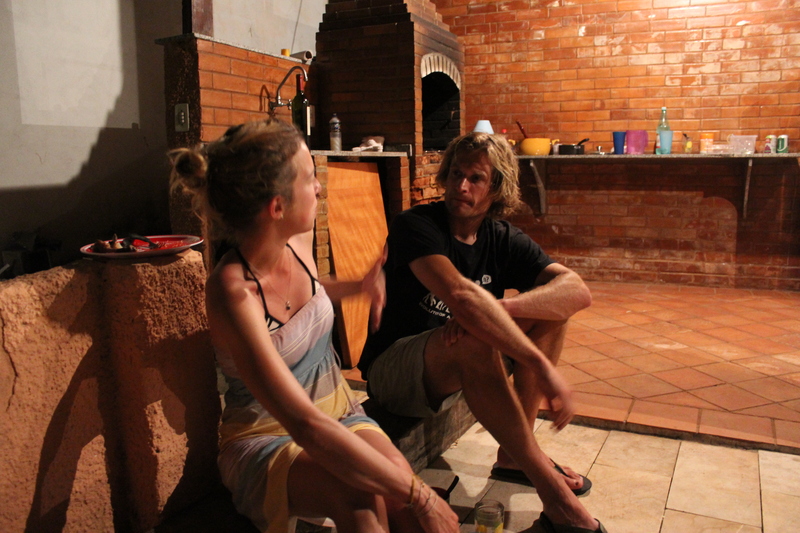 We discussed the struggles of life in Brazil, politics, corruption, social enterprise, our motivations and travels. I really appreciated his interest in my work, and he thanked me for coming to Brazil to share positive stories from social entrepreneurs. He told me he was inspired to do more, and will keep some time to hire out his office free of charge to socially responsible entrepreneurs. 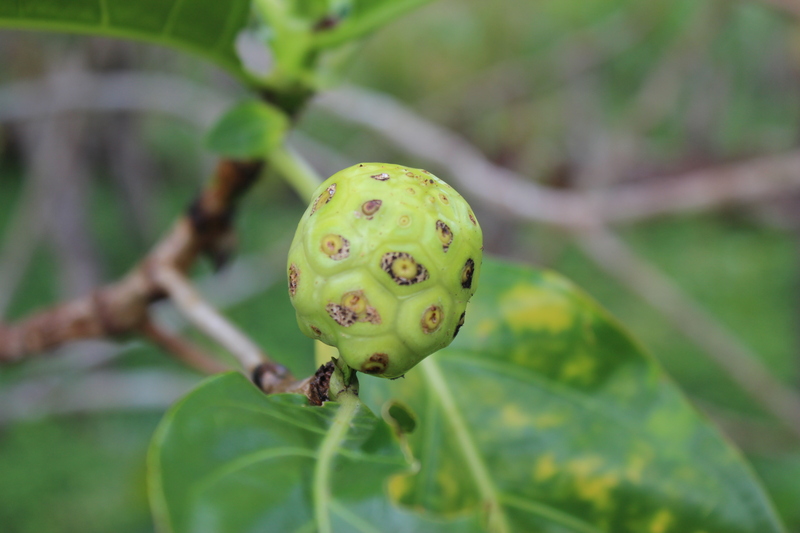 It was pretty rewarding to perhaps be planting seeds of future social action in his mind, and connecting him with some of the right people to get started. In the end, that’s what I’m here to do. Whether it’s for you, or the people I meet along the way. 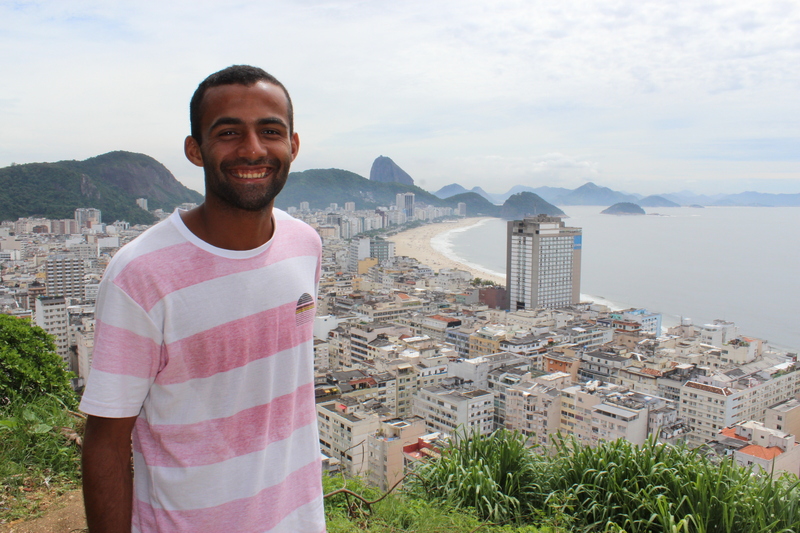 Taking a tour of the favelas is certainly on my recommended list of activities for you to do when you in Rio – it’s both eye opening, and challenging to the perceptions I had. I didn’t know if I should even take my camera with me, or if I had to keep it in my bag the whole time – in fact that was one of the first things I asked Gabriel. 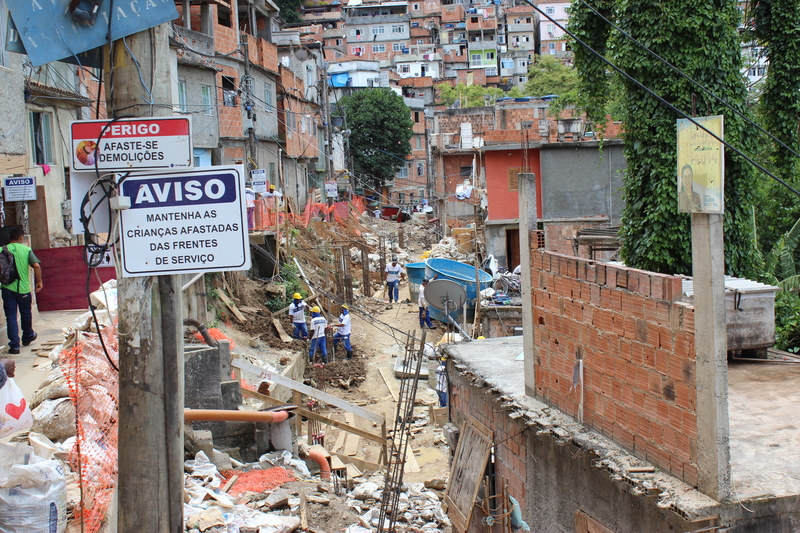 Maybe you’ve heard too how dangerous the favelas can be, and I believe some of them are, but with expert, local guidance, they are as safe as any other street in any other city. Just like in London, there are neighbourhoods you can go, and places you shouldn’t. 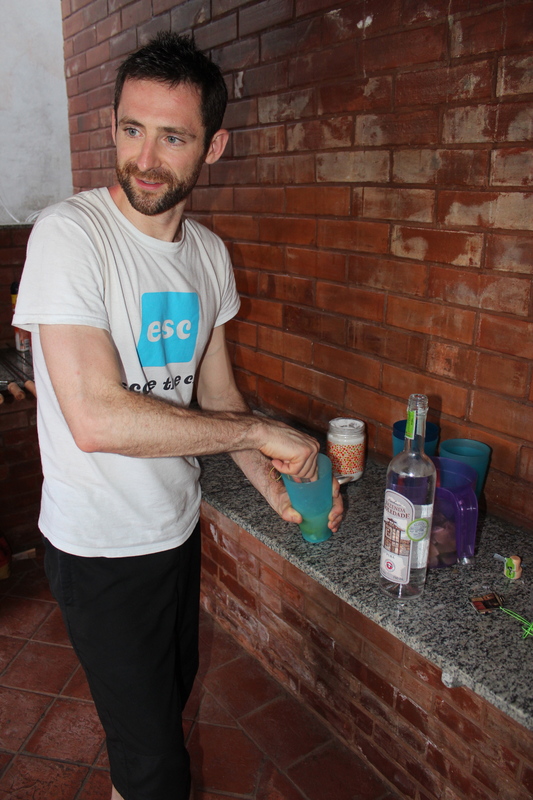 Having a local to help you tell the difference is essential, especially if you are new to Brazil, and don’t speak Portuguese, like me! 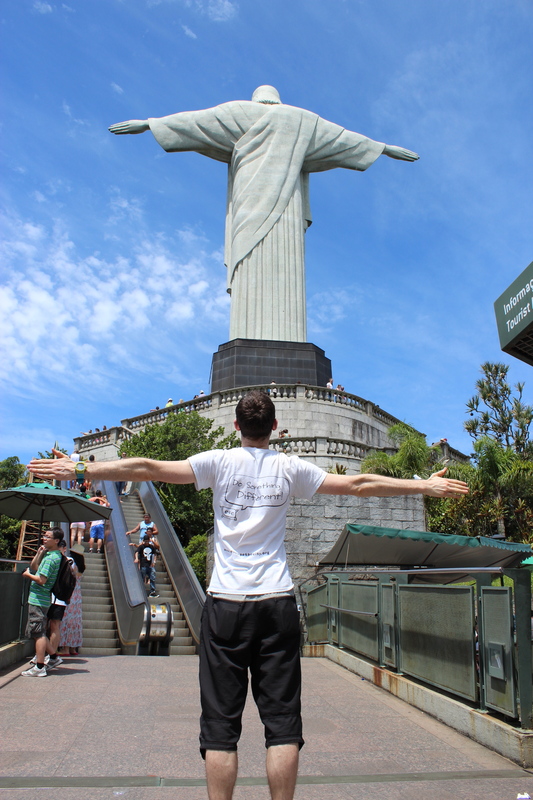 And of course, there is more to Rio than the Favelas. 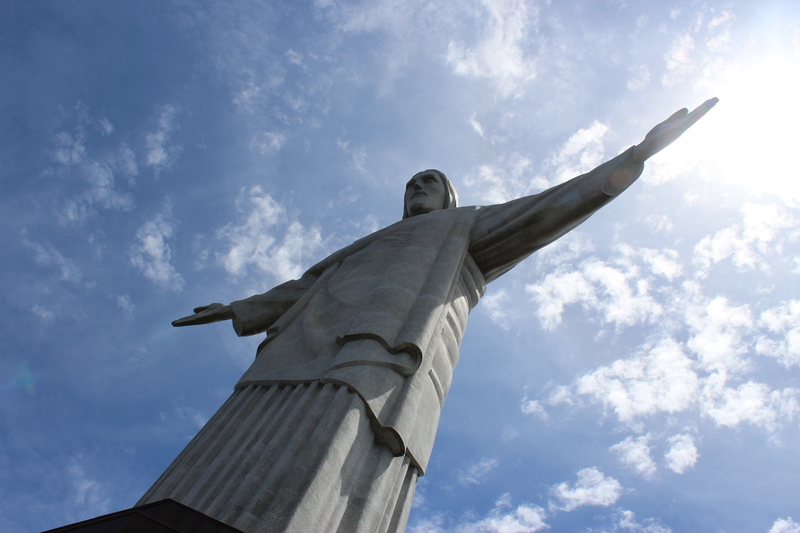 You probably know Sugar Loaf Mountain, and the Christ The Redeemer statue, which are worth visiting for the view on a clear day. 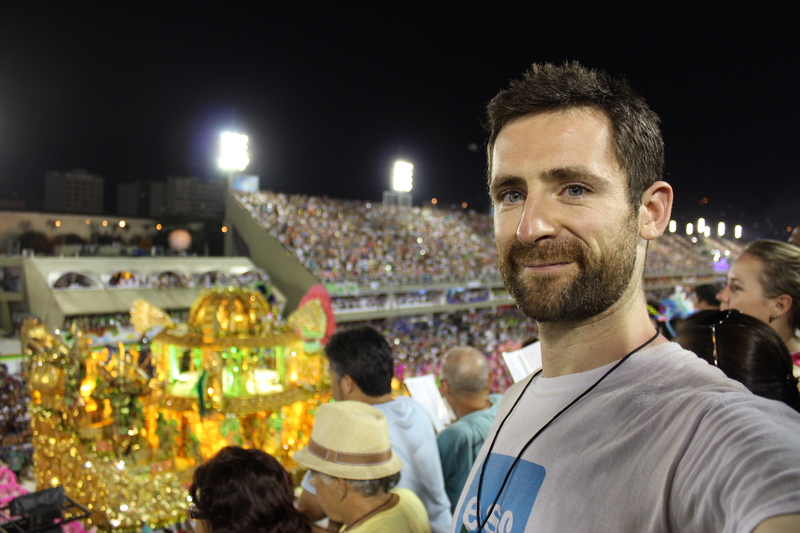 Luckily, and not entirely coincidentally, I was in Rio for most of the Carnival – the Biggest Party on Earth, apparently. 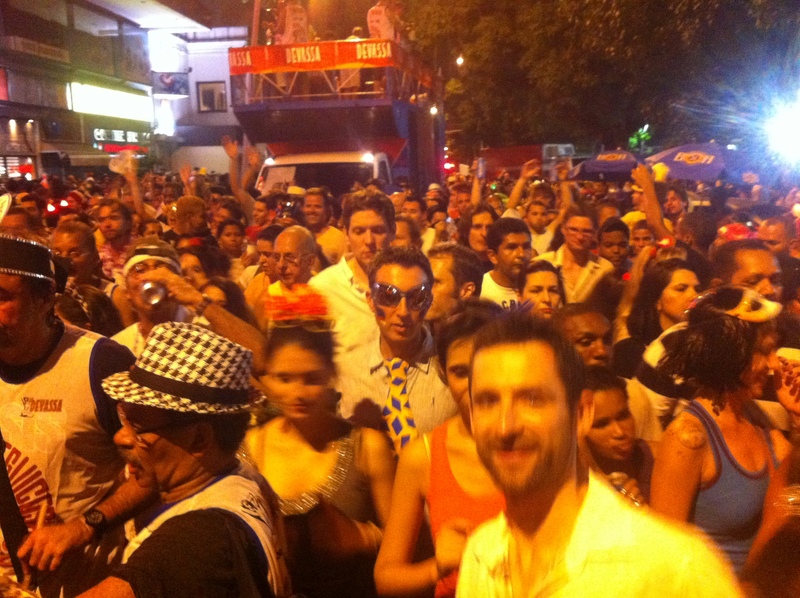 I think a million extra people come to Rio, just for the celebrations. 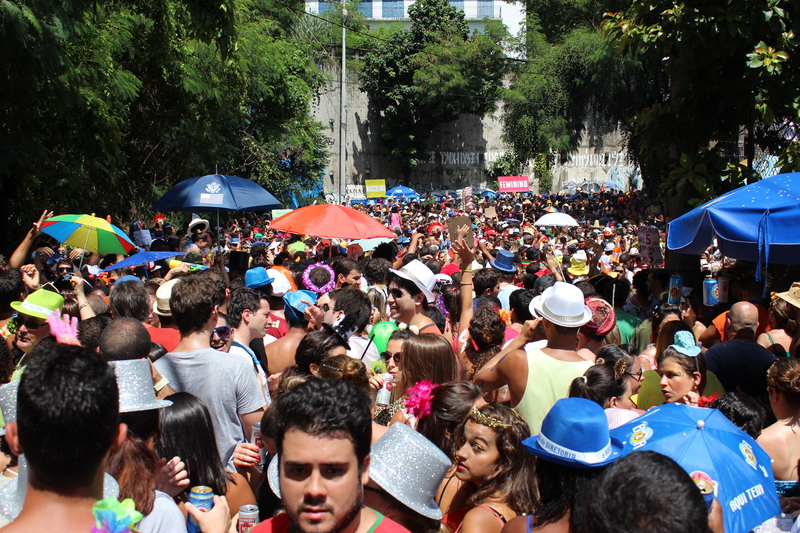 Now, a million people is kind of a lot at a street party, and I was a little overwhelmed with it at times. 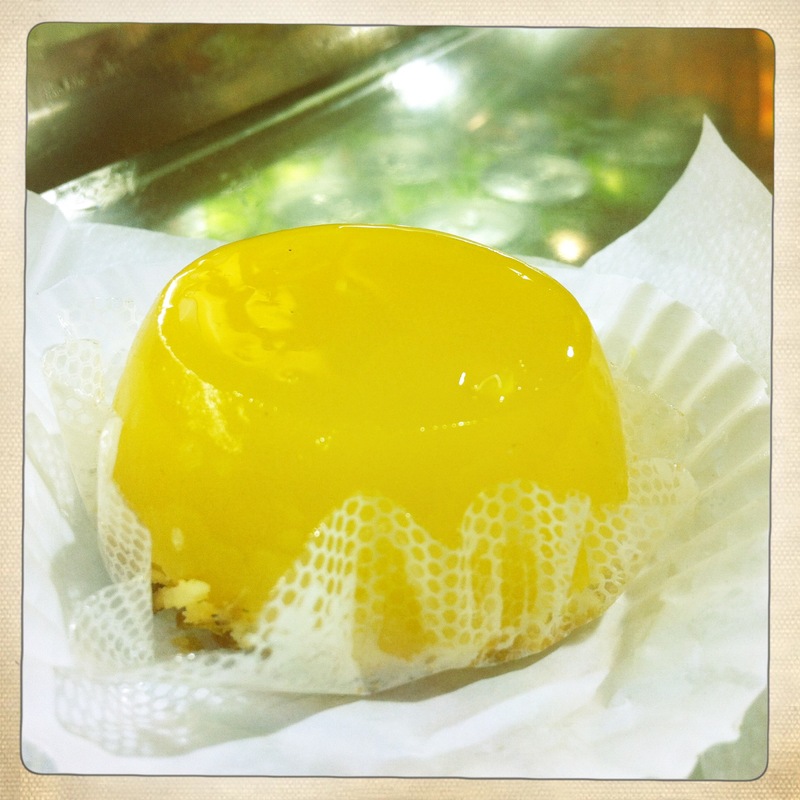 I tried my best to join in and have fun – such a struggle for me! 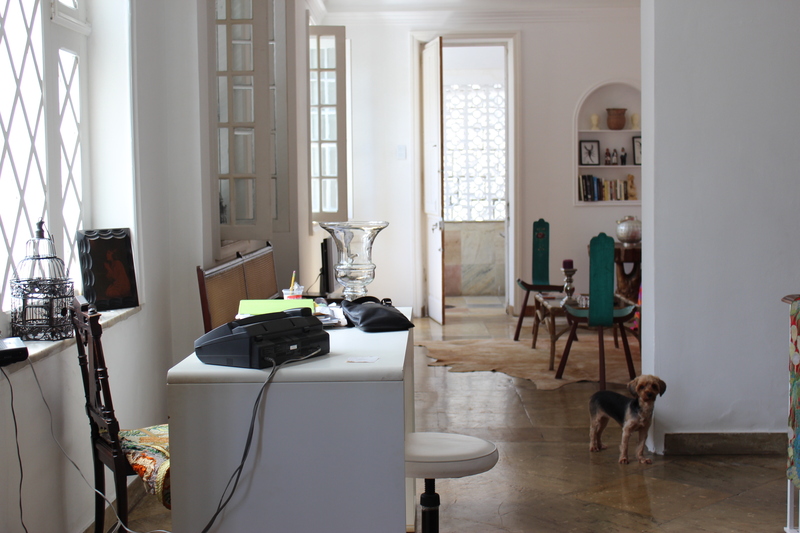 To be honest, a couple of days of this was more than enough, and I was very happy to retire to my wonderful guesthouse in Urca. 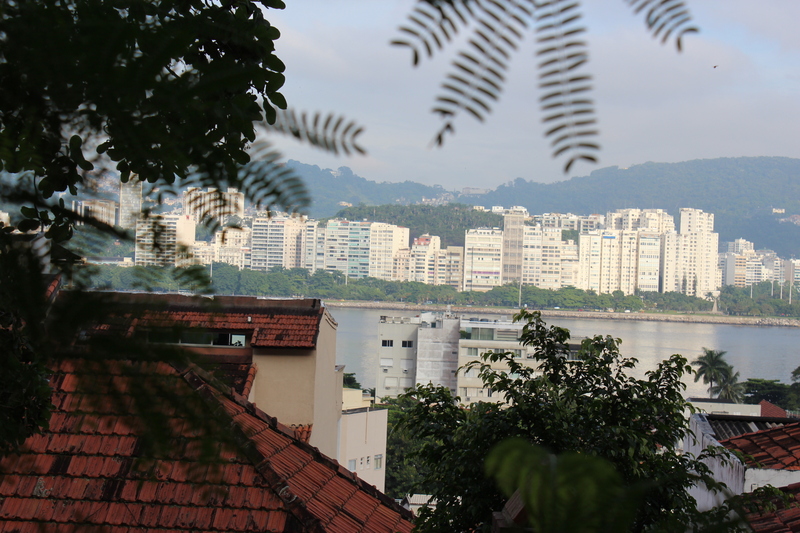 Urca is at the foot of Sugar Loaf Mountain, and one of the safest neighbourhoods in Rio. There’s only one guarded road in, and a number of military bases stationed there, so if you want safety, it’s the place to stay. It’s a little off the beaten track too, with no local metro station, so it’s not the most convenient to get to, but certainly one of the most peaceful. 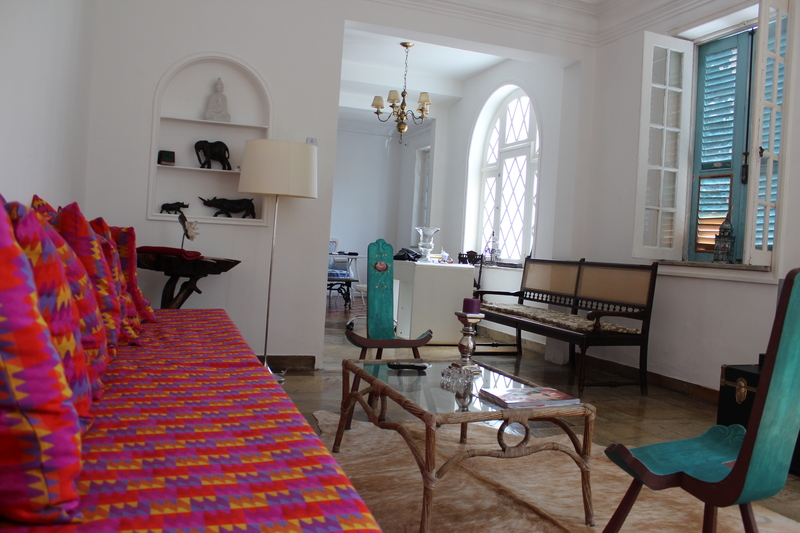 I found my guesthouse through AirBnB.com – and it was excellent.It’s newly refurbished, and the hosts are wonderful. Graziella will be running the place usually, but as she was away for the carnival, I spent most of the time with her wonderful mother, Edilene. 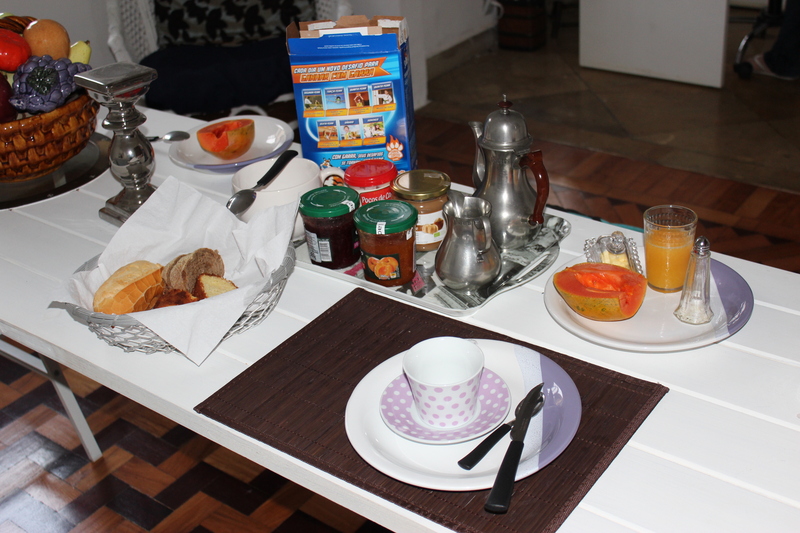 She prepared a delicious breakfast, and took care of me like a long lost son. On my last night she cooked dinner for me and two other guests. 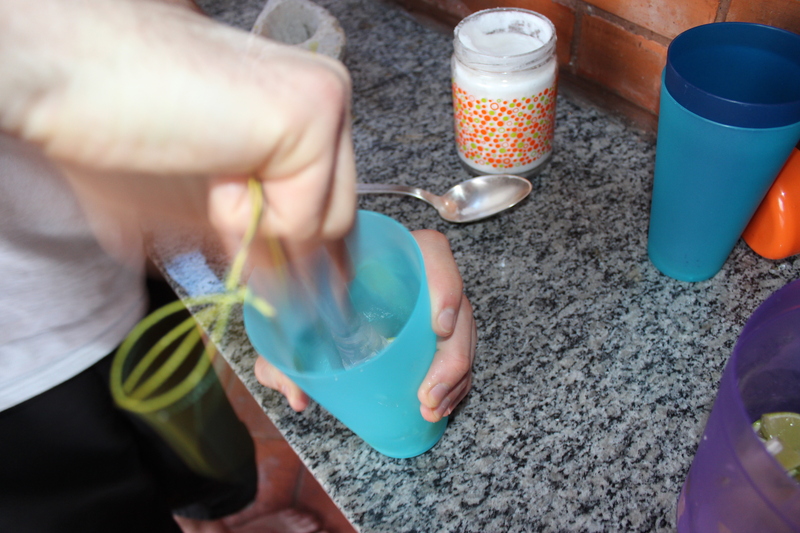 In exchange, I made her a pretty strong passion fruit Caipirinha. 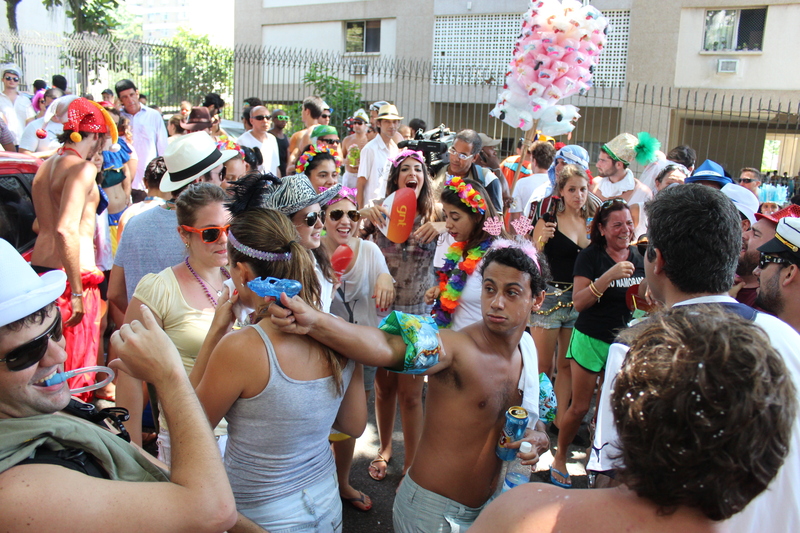 After the Caipirinhas, I had one more stop in Rio – the official Carnival parade. 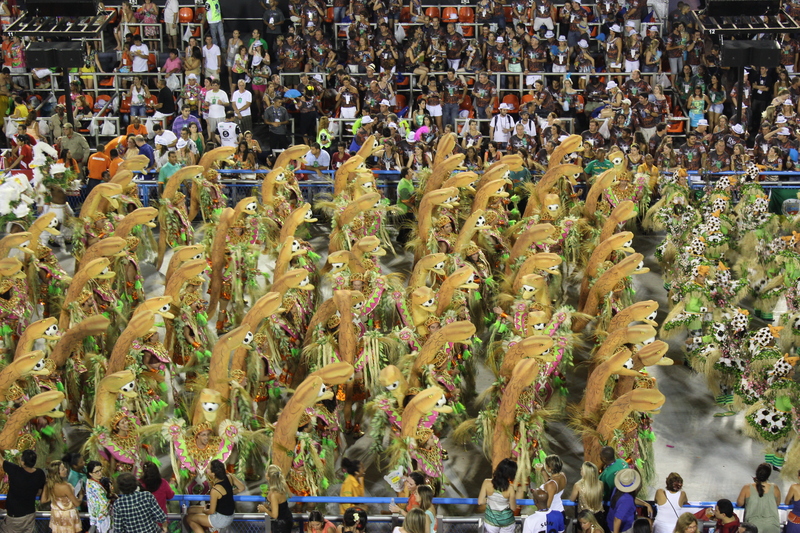 While most of the Carnival happens freely on the streets, with people young and old following trucks blaring out music, the parade is the real show of the Carnival – dubbed the Greatest Show on Earth. I wouldn’t go that far, but I would say it was pretty amazing. 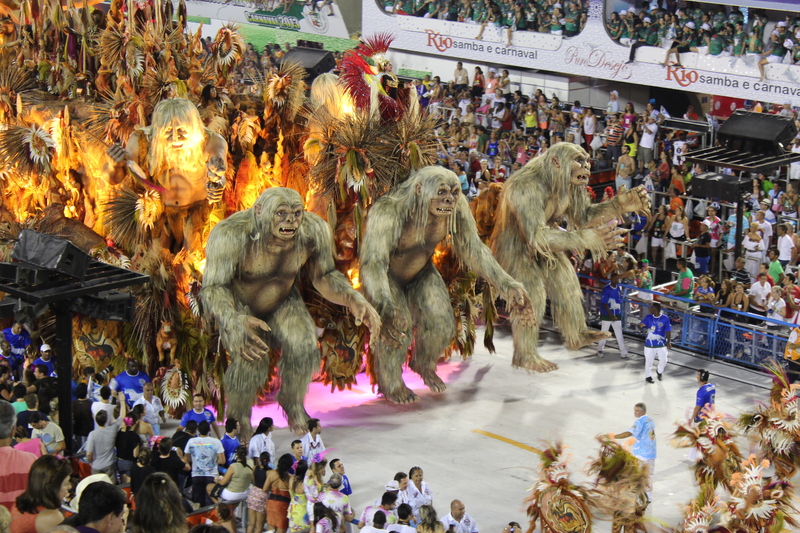 I spent some time, unfairly, comparing it to the Olympic Opening and Closing Ceremonies. It’s on that scale, but it’s not same. 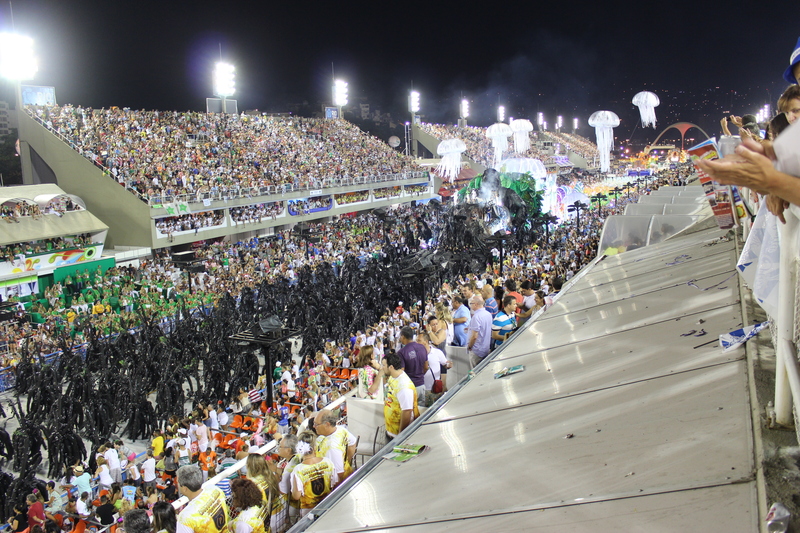 It’s about 8 hours of thousands of people in brightly coloured costumes, parading along the “Sambadrome” – A custom built walk-way, with spectator seats either side. 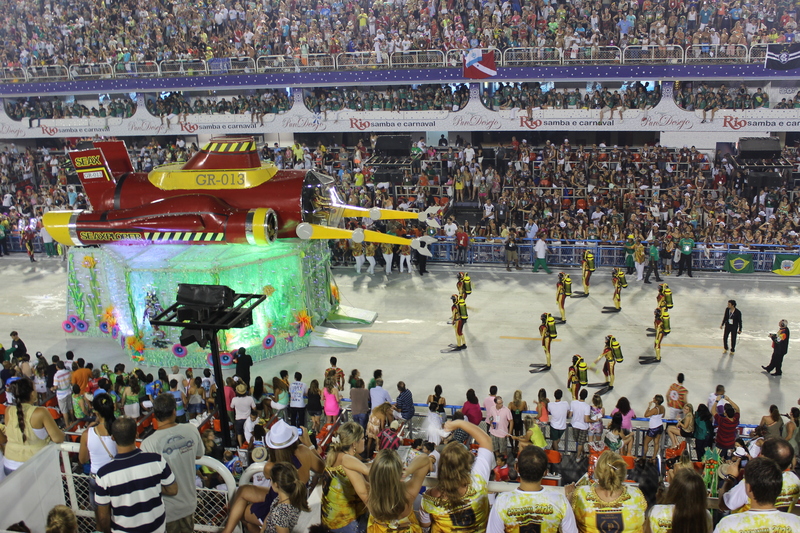 Some of the dancers are on floats, and some walk and dance along. There weren’t quite as many women in skimpy outfits as I was lead to believe from all the marketing. There were however thousands of people with enormous amounts of colourful plastic stuck to them. Everything from human snakes with footballs in their mouths (I don’t know why), to scuba divers, to, like, a kind of human oil slick. Hard to explain, weird to see. 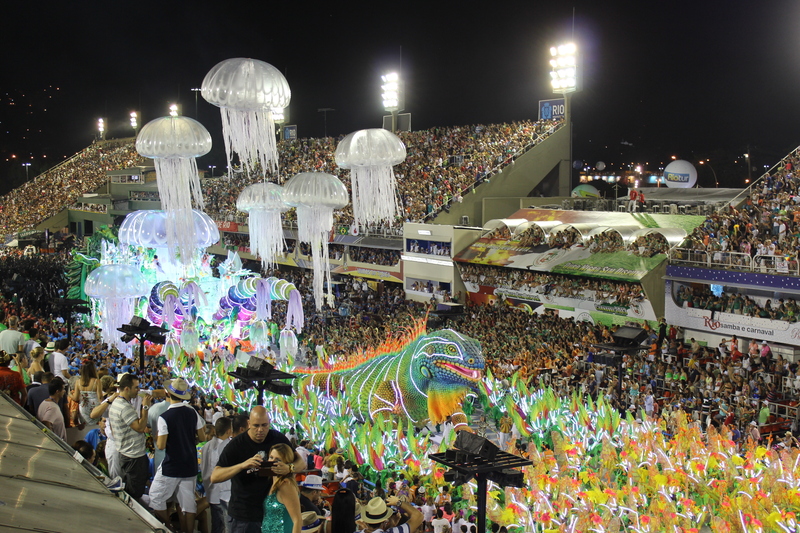 Only a few of the floats really amazed me – like the one with some kind of giant animatronic neanderthals, and the one with a giant glowing lizard with free floating jelly-fish. I guess it’s the kind of thing that has to be seen to be believed, and I feel very lucky that I got the chance. 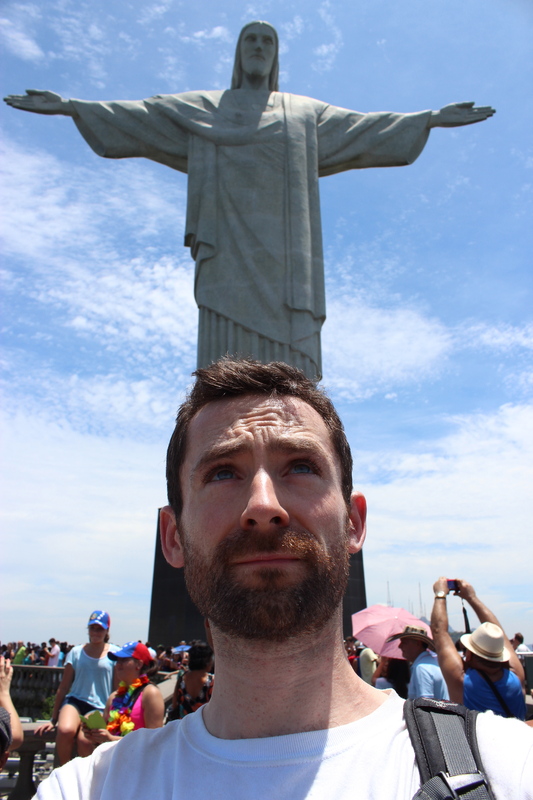 Now it’s on to Salvador, the end of the Carnival, and discovering paradise in the North East of Brazil. 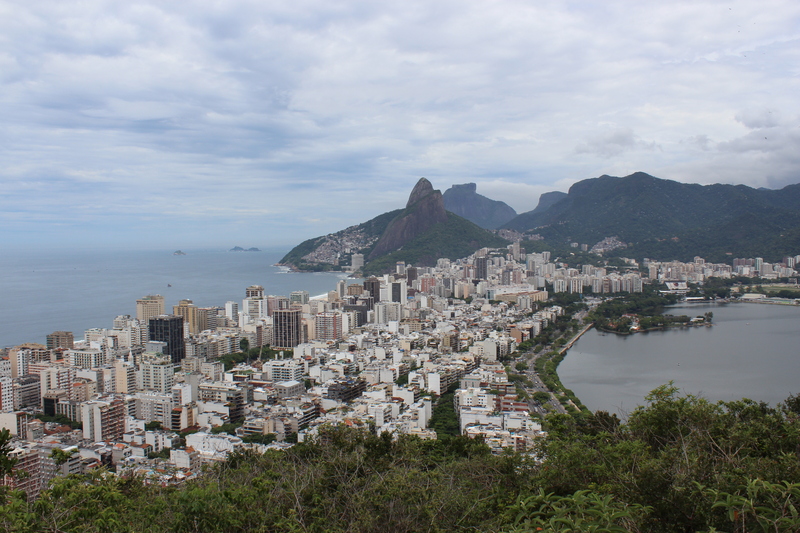 Rio De Janeiro – The city of sun, sea and samba, and soon, the host of the World Cup and Olympic Games. It’s also a city where the extremes poverty and wealth exist side by side. 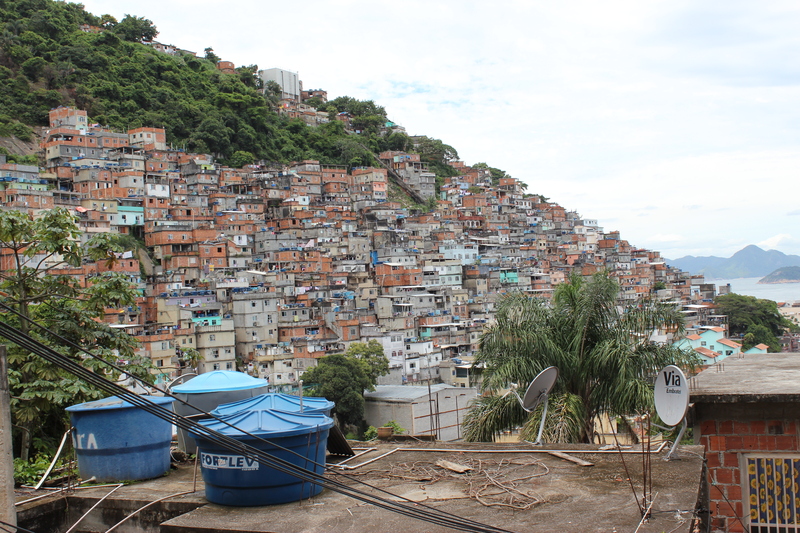 Cantagalo, a city favela, or poor community, is built into the side of one of Rio’s many hills, just off Copacabana beach. It used to a haven for drug gangs, dealers, and criminals – not a safe place for a tourist, or even a city local. Many of these communities are undergoing a rapid development. 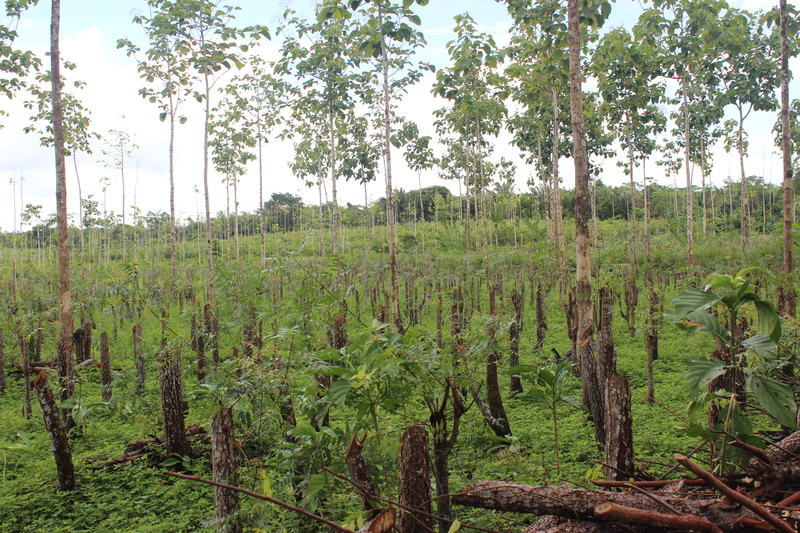 Through a government project of “pacification” of the criminal gangs, urban development, and a number of social projects, these areas are changing. 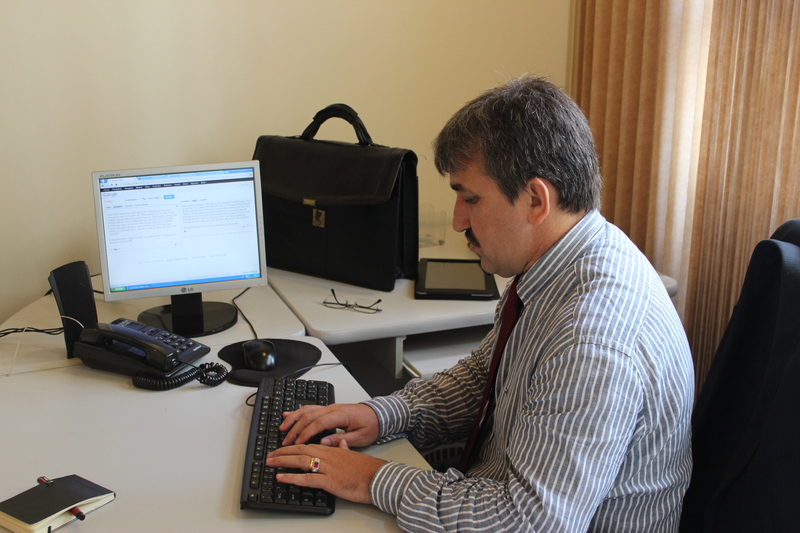 My focus was on the facsinating social projects. 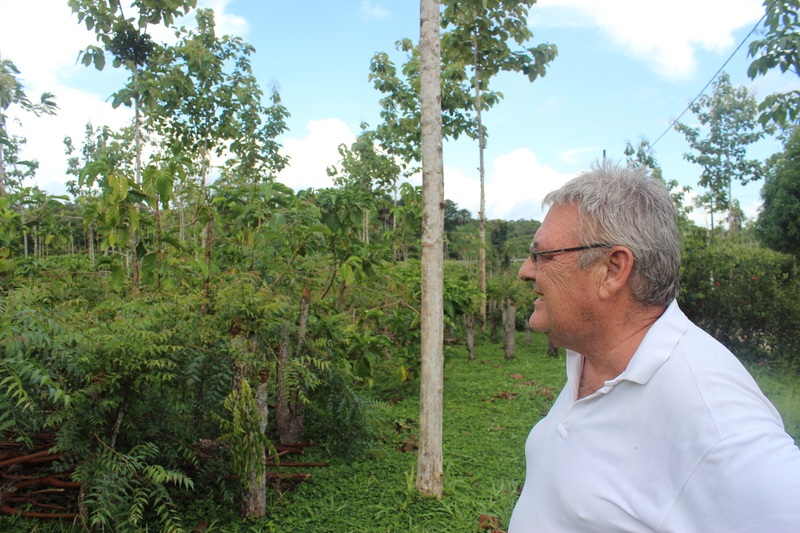 My guide for the day was a local resident of Cantagalo – Gabriel Abreu. 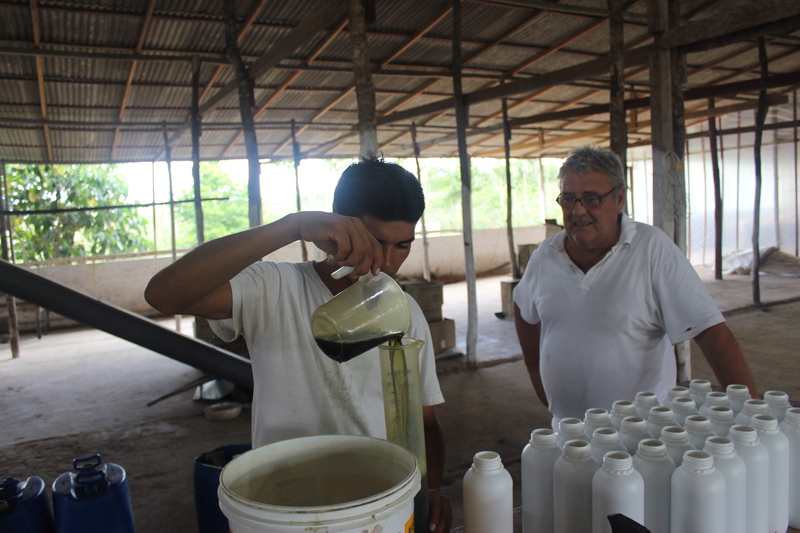 Gabriel made the investment in learning English, and now he takes individuals and groups around his community. 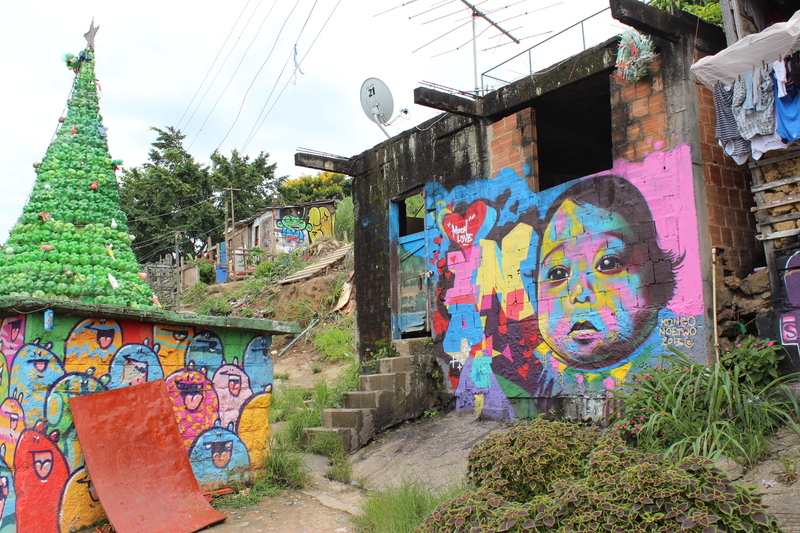 The first thing you notice when you enter Cantagalo are the paintings on the walls, that tell the history of the favela – including a few fun stories. Like the neighbourhood called Pavao (Peacock), because the first two residents arrived on a giant peacock, obviously. 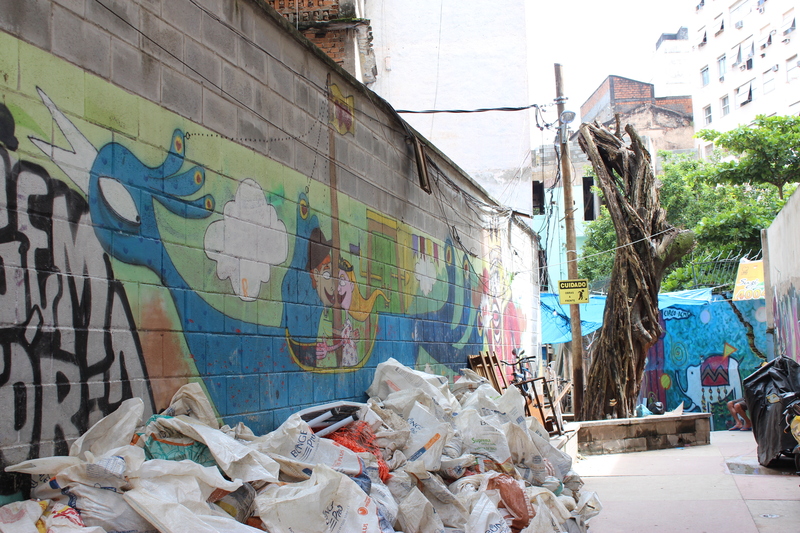 As we walked around, we saw many more paintings, and the results of one art project that works with the favela children, including a Christmas Tree made from recycled bottles. 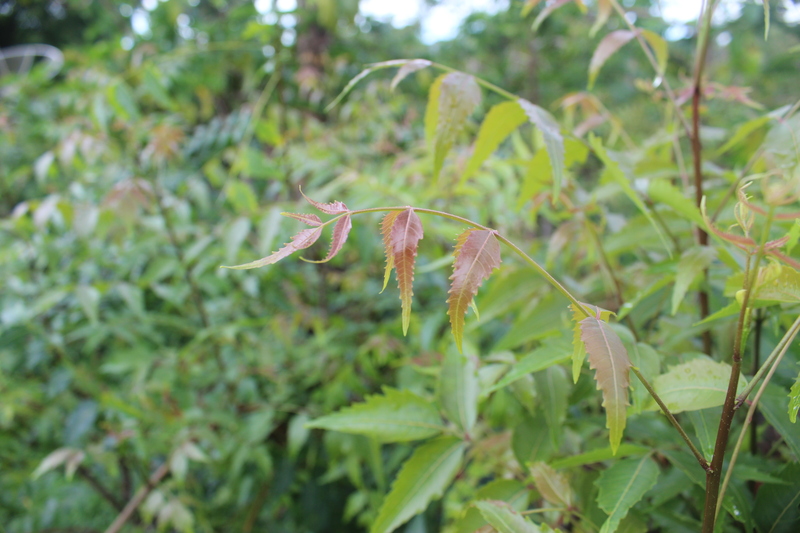 We went to one of the community centres, where many of the projects take place. From computer courses, to ballet, from drumming to ball room dancing. 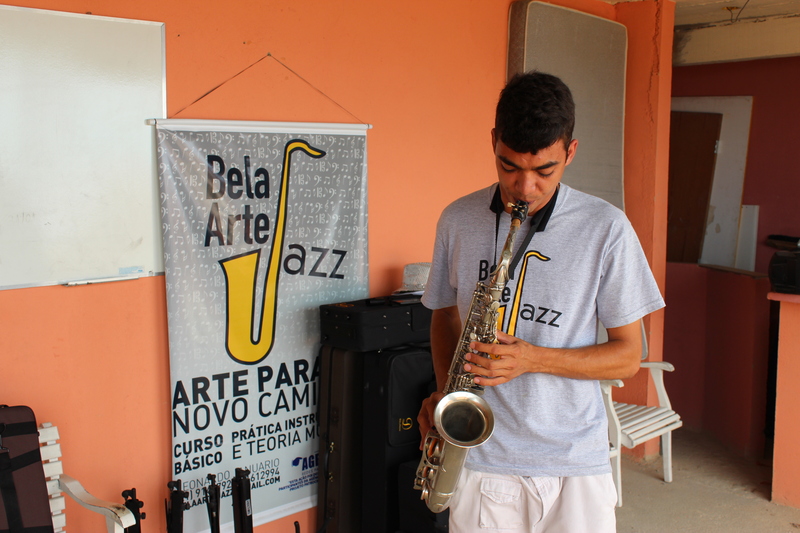 We were lucky enough to run into the young gentleman who runs a Jazz project – Leonardo Januario. 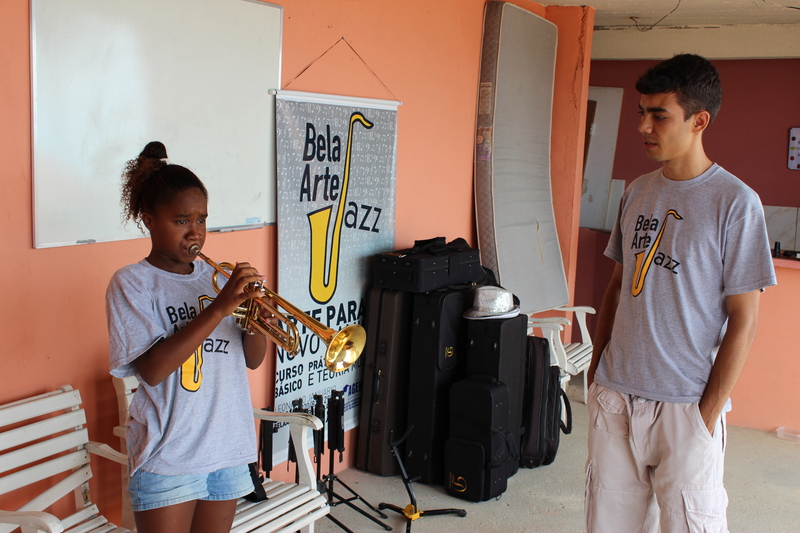 He’s a freelance musician and he started Bela Arte Jazz, a not for profit project to create the first favela big jazz band, and to introduce the young members of the community to the musical influences of famous jazz musicians like Miles Davis, John Coltrane. Leonardo is a resident of Cantagalo, and runs the Jazz classes free of charge. He has had some support, and has had about 18 instruments donated – all of which he loans out to his students. 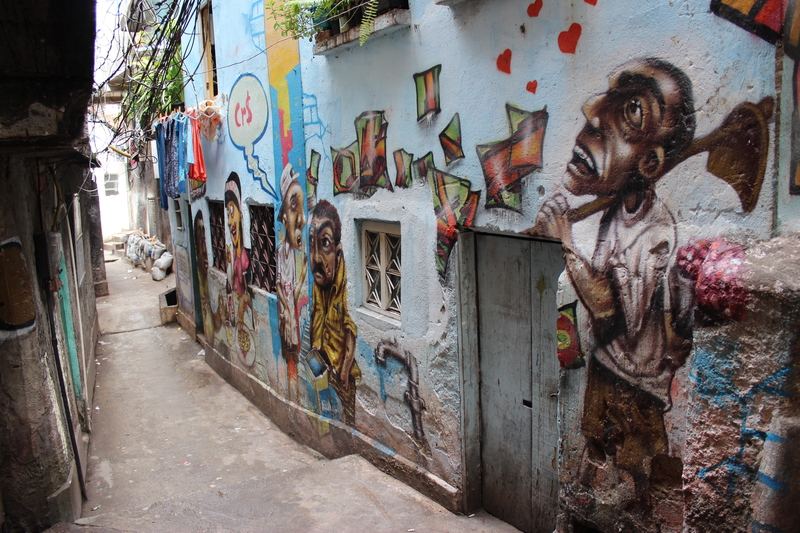 He told us his dream is to be wondering round Cantagalo, hearing the sounds of Jazz echoing around the neighbourhood. After we met, on my way to lunch, I heard a practicing saxophone. It made me smile. Not quite Coltrane, but the practice has started.